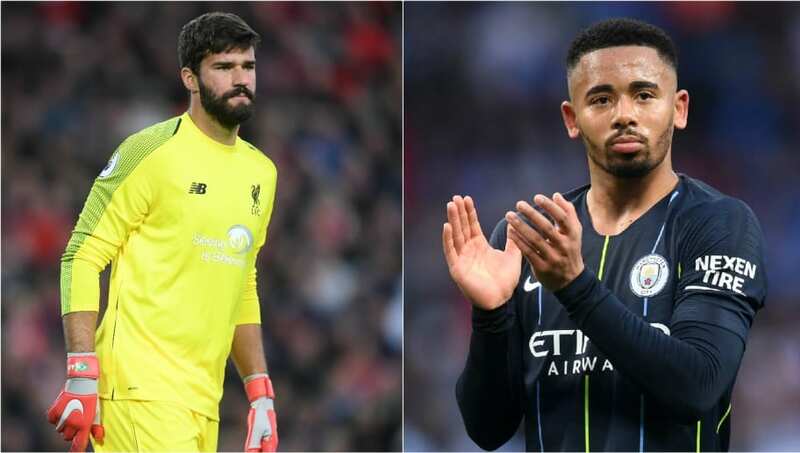 ​Liverpool goalkeeper Alisson and Manchester City striker Gabriel Jesus have insisted that their focus can only be on their respected side's form during the Premier League title race. Pep Guardiola's side briefly went top of the league at the weekend following their 3-1 win over Crystal Palace, before Liverpool replaced them at the summit courtesy of a 2-0 victory over Chelsea. The result at Anfield means the Reds have a two-point lead over the Citizens, albeit playing a game more, with Alisson admitting the result and performance can give the team a psychological boost in what remains of the run-in. Speaking to ​ESPN Brasil, the goalkeeper said: "This game was very important. Even to give confidence for the rest of the games. Now more than ever, we have to think step by step, game by game. The league will probably be decided in the last round. "I think ​Manchester City have been doing an extraordinary campaign, just like us. And we have to stay focused. A victory today was very important, but that’s not all. We have to have the same mindset for the next games. And try to get as many wins, as many points as we can." ​Liverpool's win over Chelsea was deemed an important one, with many deeming it as their biggest hurdle between now and the end of the season, as they bid to win the club's first league title in 29 years. Manchester City, meanwhile, have the likes of Tottenham and Manchester United in their final five games of the season, although they will win the title if they win all five of their remaining games. After scoring City's third goal in the win over Palace at the weekend, ​Jesus admitted the fact that deciding the destination of the ​Premier League title remains in their hands means their sole focus should be on their results only. Also speaking to ​ESPN Brasil, he added: "I don’t think we have to root against Liverpool, no. I think we’ve already passed that part of rooting against. I will not say that I want them to win, of course not. But I don’t think we have to worry about Liverpool. "On the contrary, it depends on us. We have five more games, five decisions. If we win all five games, we are the champions again. It just depends on us."